AutoCanada CEO Steven Landry says the company is focused on growth in 2018. A strong finish to 2017 helped boost profits for Canada's only publicly traded dealership group. Edmonton-based AutoCanada Inc. reported fourth-quarter revenue of $733.1 million, up 16.5 per cent from a year earlier. Same-store revenue, a key earnings measure, rose 11.1 per cent. AutoCanada defines “same store” as a franchised automobile dealership that has been owned for at least two full years since acquisition. The dealership is then included in the same-store analysis in each following quarter. For the year, revenue rose 7.3 per cent to $3.1 billion while same-store revenue was up two per cent. Net earnings reached $57.8 million, up from just $2.6 million in 2016 after the company wrote down the value of certain assets that year. New vehicle sales rose 9.3 per cent to 43,773 at AutoCanada dealerships, and the retailer also made gains in the finance and service areas. Used vehicle sales slipped by one per cent. The company said new agreements with General Motors, Mercedes-Benz and Mazda, all previously opposed to public ownership of their Canadian dealerships, point to further gains in 2018. 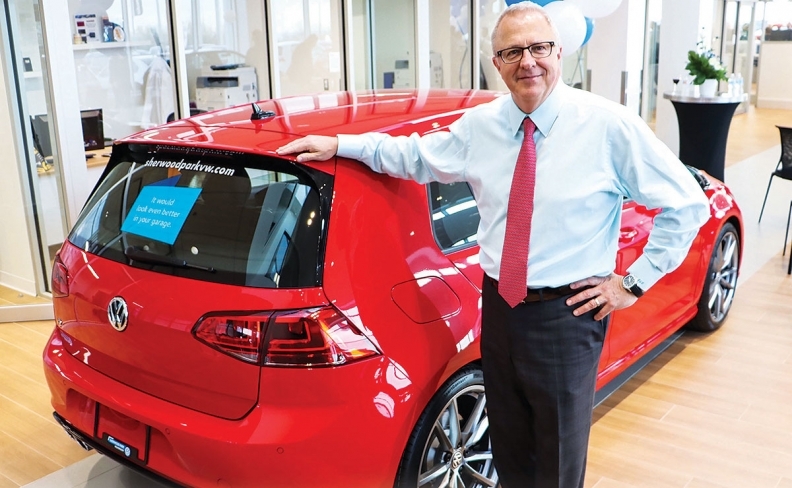 "This was a very good year for AutoCanada and we continue to strengthen our foundation for future growth," CEO Steven Landry said in a statement. In January AutoCanada completed a deal to assume control of five GM dealerships in which it had held an equity stake, but without voting rights. CanadaOne Auto Group, controlled by AutoCanada founder and former CEO Pat Priestner, took over four other GM outlets as part of the agreement. AutoCanada is also expanding its footprint into Eastern Canada, lessening its sensitivity to the western resource economy. AutoCanada shares were trading at $21.15 on Friday morning, up from $20.87 on Thursday.